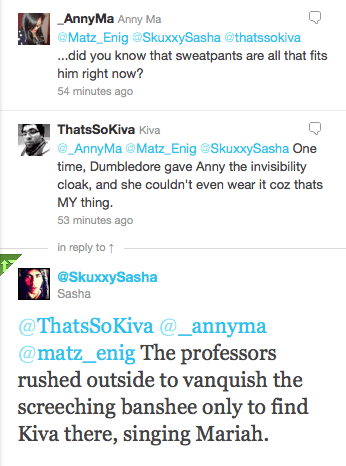 JawkwardLOL Mean Girls of NZ Twitter: Hogwarts Edition. 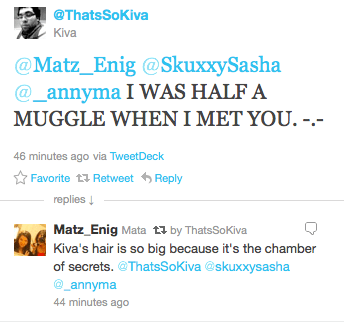 February 10, 2013 August 8, 2015 MataLeave a Comment on JawkwardLOL Mean Girls of NZ Twitter: Hogwarts Edition. 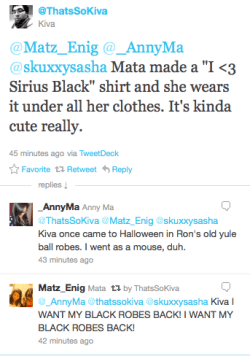 What do you get when you come across die hard Harry Potter fans who know the Mean Girls script inside and out? 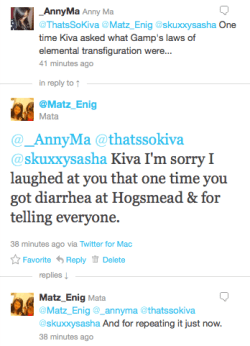 Well an hour or two of the following. 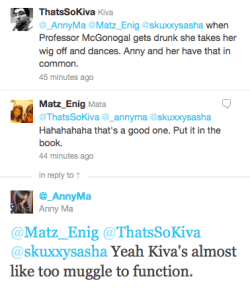 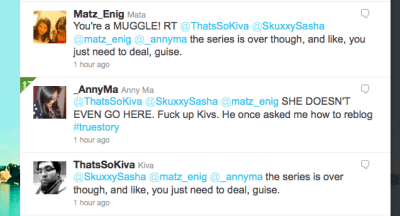 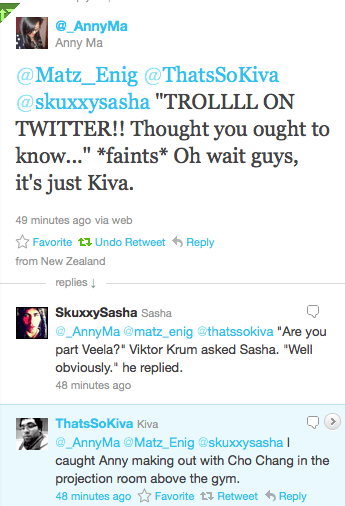 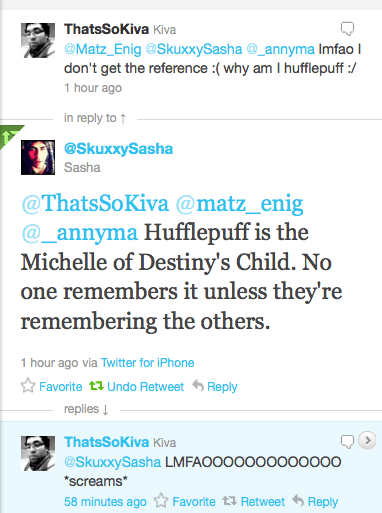 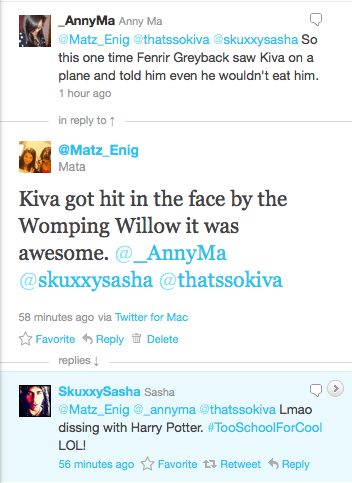 Basically Kiva vexed Harry Potter Fans Anny, Misha and I, inciting a twitter war of epic proportions. 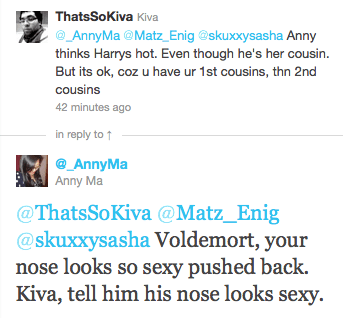 And no, I’ve never met these lovely people face to face. 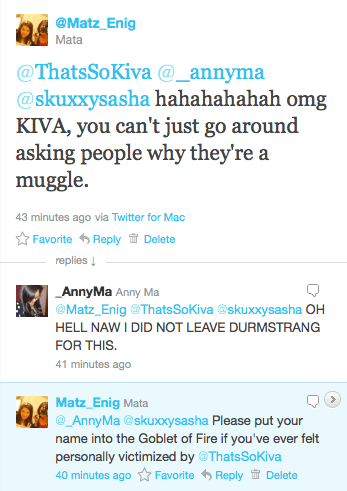 We inhabit the wizarding (girl) world of twitter, where hashtags are curses and the wrong tweet can be social (networking) suicide. 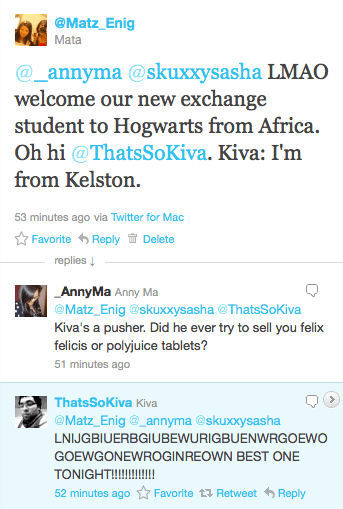 It doesn’t matter, because these are the NZ Twitter Plastics of Hogwarts. 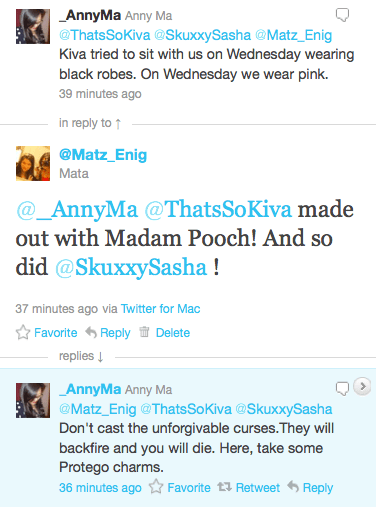 Next The Blue Rose: 1×02 – What Difference Does It Make?